Thank you NFL for sponsoring this post. Check out #MyNFLFanStyle and create your own look at NFLShop.com! I live in a house divided. Ok, ok, that's a tad dramatic. But myself (and my entire family) are crazy 49ers fans, while Tony is a lifelong Raiders fan. It's not ideal, but we somehow make it work. Neither of our teams are very good this year, but there is still plenty of trash talking. I was recently given the opportunity to pick out some pieces from NFL Shop, and was so pumped about the huge women's selection. The website is great, super user friendly and (seriously!!) I found so many pieces that I wanted, that it was hard to narrow it down to the ones I couldn't live without. I ordered my pieces, and got notification that they were delivered when we were in New Orleans (shipping is incredibly quick!) I couldn't wait to wear everything as soon as I got home. A few days ago Tony and I were decorating the outside of the house for Christmas, and he was wearing a Raiders beanie. 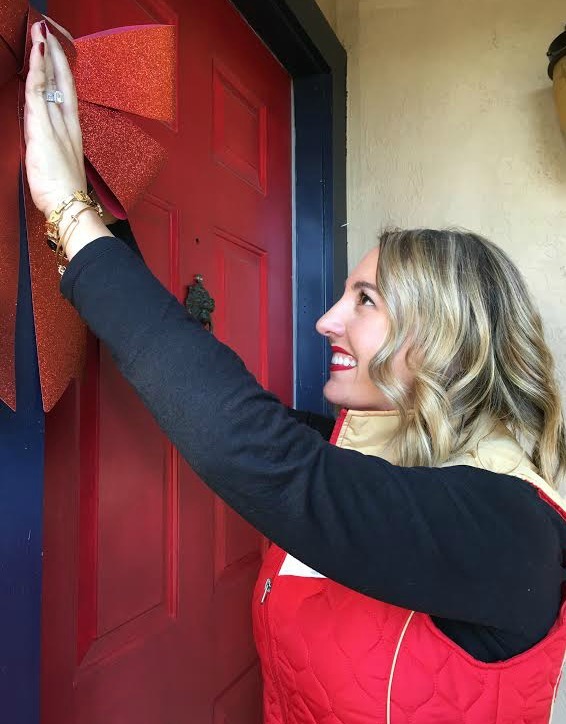 Obviously I had to represent my Niners, so I opted for my cute 49ers vest. Tony (and my neighbor) said it should have been a Raiders vest. Crazies. 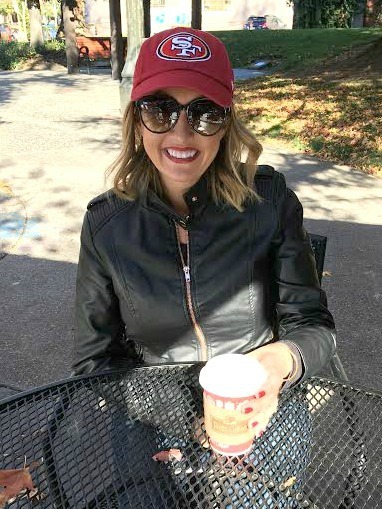 After we were done decorating we headed out for a cup of coffee, and I was feeling a bit chillier so I threw on a jacket and hat. A classic (p)leather jacket, jeans, animal print shoes and your team's hat is perfect for a casual day. 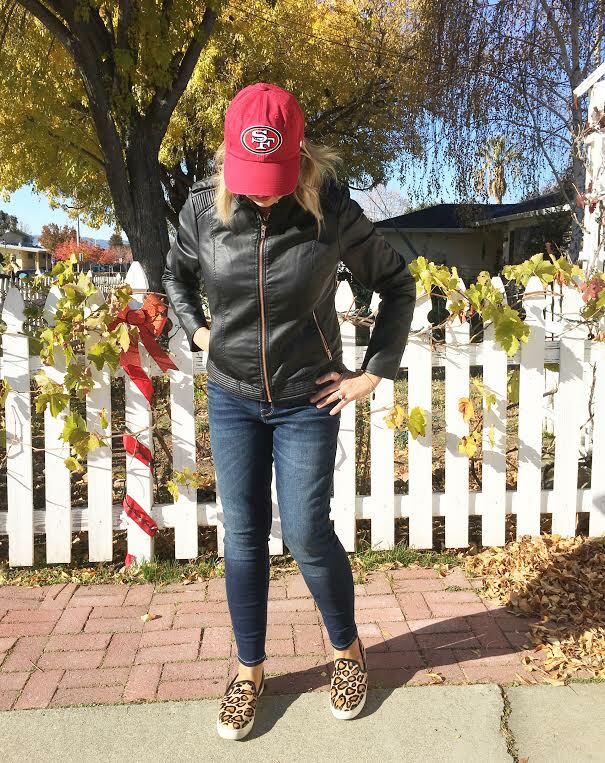 I love my Niners, and #MyNFLFanStyle has a way of working itself into my wardrobe often! 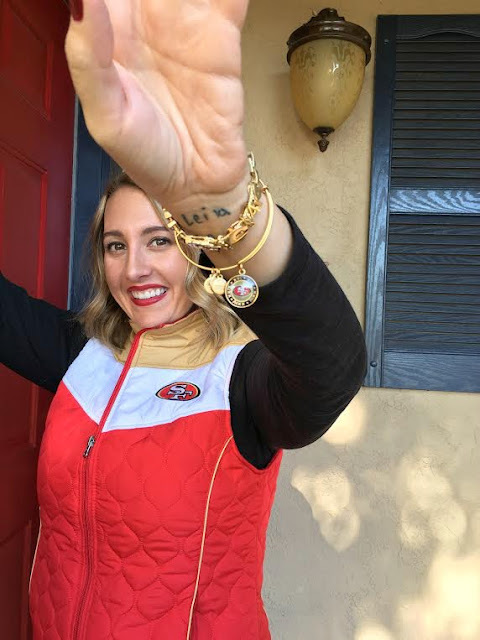 My Super Bowl bracelet is a daily staple! 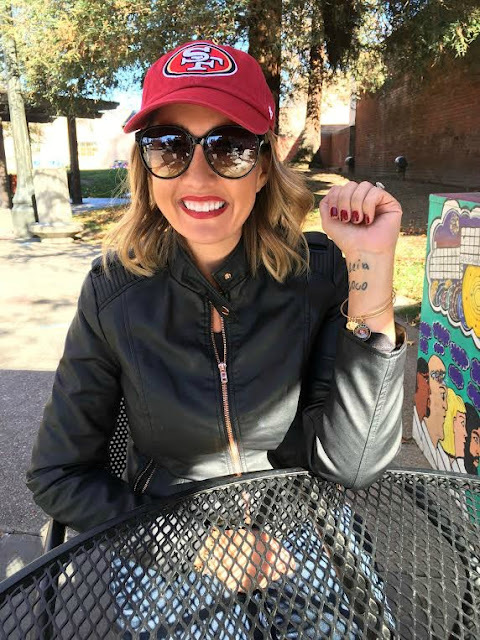 I don't always wear red, but when I do it's 49ers red. 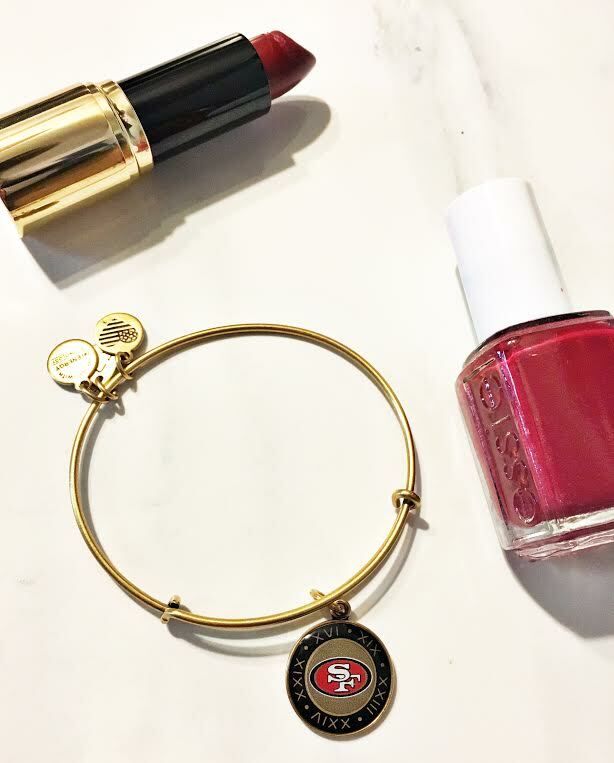 You can find all of my women's 49ers gear (and your favorite team's gear if you aren't a diehard Niners fan like myself) at The NFL Shop. I love gifting my favorite girls with some cute NFL gear (unless they're Raiders fans. Or Seahawks fans. Or Cowboys fans...) and I can always rely on the NFL Shop to have a great selection. Who is your favorite team?? Do you wear their gear proudly? !